There are a number of improvements you can do to make your home more efficient and more comfortable, such as a ceiling fan, increased insulation or an energy efficient heating and cooling system. 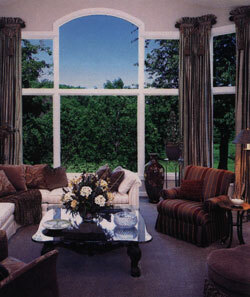 One of the most cost effective things you can do is install residential window film. The installation of today's high tech window film is a fast growing trend for existing homes and new residential construction. It's making homes in all climates more efficient and more comfortable year-round. 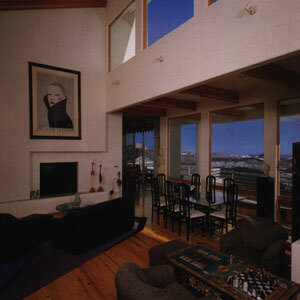 Fade Protection From the Sun - "Like Sun Screen For Your Home"
With out window tinting over time, the rays of the sun fade whatever is in their path. But professionally installed window film blocks out 99.9% of the damaging ultraviolet rays that ordinary windows allow in. That means that draperies, wood furniture, upholstery and carpeting will last longer. Windows are the enemy of comfort and efficiency. They can account for 70% of your cooling load and up to 40% of your heating load. In the summer, window film will reject up to 82% of the sun's solar energy, reducing hot spots and solar streaming through the windows into your home. In addition to reducing the transmission of solar heat and ultraviolet, residential window film can also reduce annoying glare. Whether it's the sun's reflection off the swimming pool or a fresh blanket of snow, you can enjoy the beauty of the outdoors more because drapes and blinds need not be drawn. Additionally, window film can provide increased privacy, so you can enjoy your view without feeling like you're living in a fishbowl. Our film comes with the industry's toughest and most durable surface. This hard surface can be cleaned with industrial cleaners as well as with most everyday household window cleaners. Ordinary glass will break and splinter, but having window film on your windows can reduce the likelihood of injury because window film helps hold fragments of shattered glass in place.